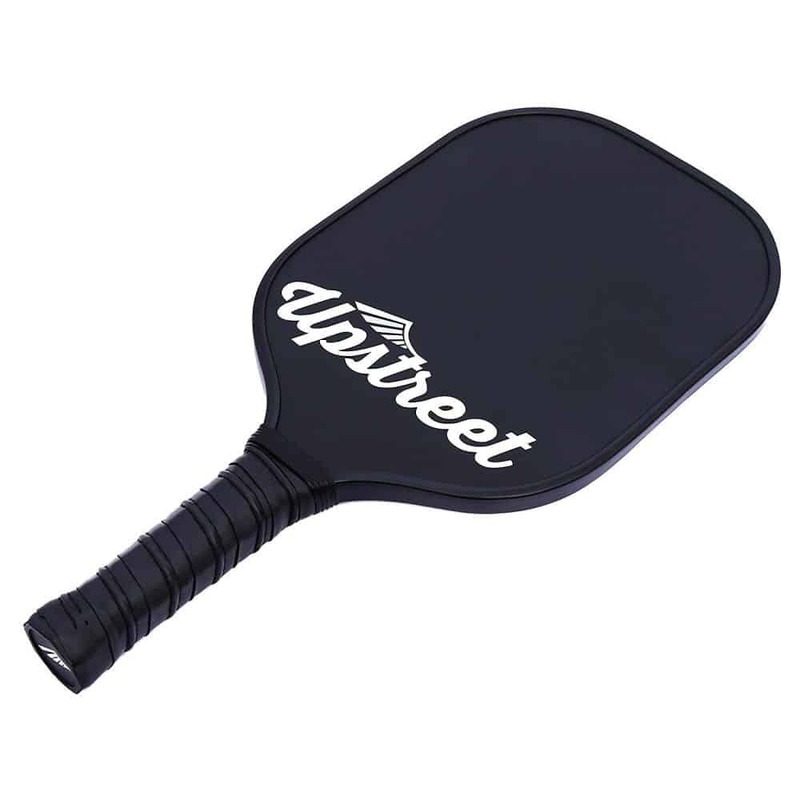 Upstreet Graphite Pickleball Paddle provides a resilient surface with sound consistency. Each paddle is thoroughly inspected for weak spots. 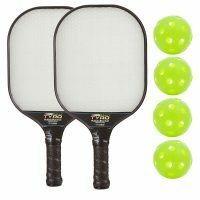 PP Honeycomb Pickleball Paddle composite is a durable core that provides optimum mechanical performance. 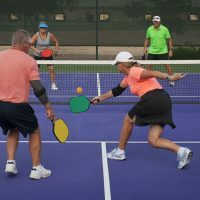 We believe the best graphite pickleball paddles are durable, lightweight, soft edged, and examined for wide spread surface impact. If you’re looking for a professional pickleball paddle at a casual price, the Upstreet Graphite Pickleball Paddle is the paddle for you. 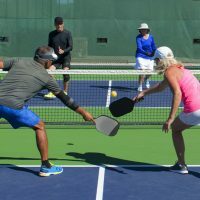 This pickleball paddle is a solid entry in the graphite paddle market. 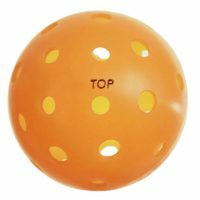 Dead spots are non-existent, so your shots stay true, and fell much more in control than with a standard wooden paddle. 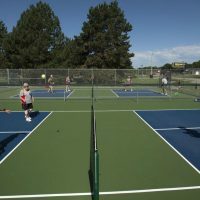 Pickleball can be quite an aerobic workout. 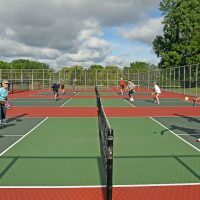 If you are using an old-style, heavy wooden paddle, you might find that it can aggravate the tendons in your arm (“tennis elbow”). 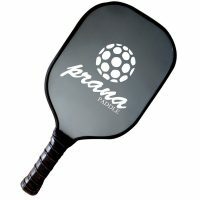 The lighter weight of this graphite paddle will save your arms and keep you from getting exhausted during play. Another design detail that puts this pickleball paddle above the rest is the handle wrap. Most rackets’ grips are finished with a vinyl-like tape. This paddle has a grip that is finished with several strong, small rubber bands. This helps keep the wrap intact even though rigorous use. 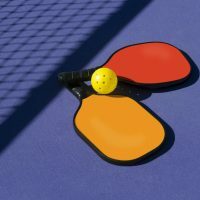 Whether you are a beginner or an experienced player, this paddle can help you with your game. 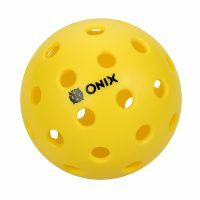 It has great ball control, amazing weight, a universal handle, and quality construction. It’s very durable and made with impressive quality control. The cherry on top of this paddle is the included neoprene sleeve. 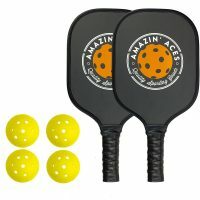 It’s a nice way to protect your pickleball paddle!